Alexandra and Daniel’s wedding has style and flair, and a pretty creative and elegant theme: postwar sweethearts. It’s lovely – the bride and groom look gorgeous and guests arrived in costume to add more flavour and spirit to the day! 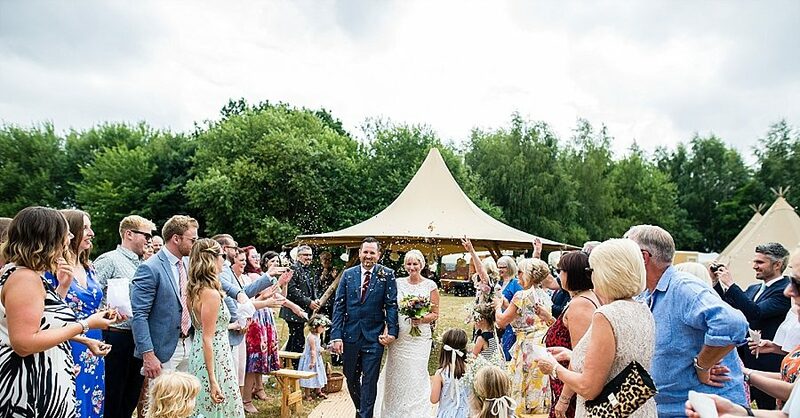 I was thrilled when photographer Damian Burcher got in touch to share this wedding – it’s unique and sure to give lots of you some fab ideas for your day. Little touches like the kraft paper identity cards and the peonies and freesias in Alexandra’s bouquet make today’s wedding blog really pretty. Alexandra’s interview at the end of today’s feature is great: she gives some money-saving tips as well as sharing some of her own very precious memories of the wedding day. Please do read it carefully, as Alexandra has done such a lovely job telling us about her day.